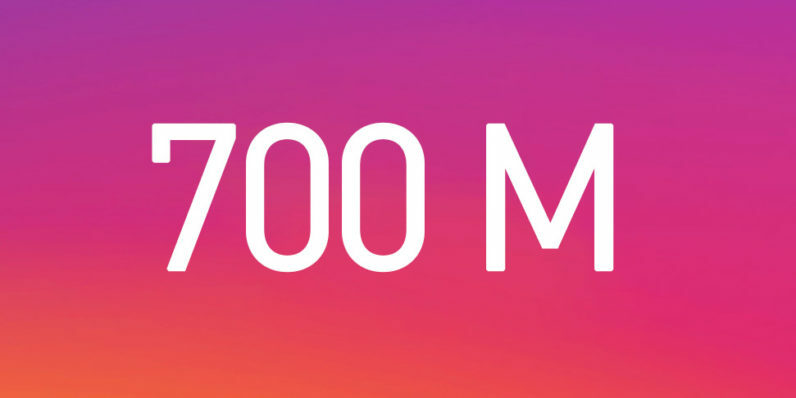 Instagram is showing no signs of slowing down; the company today announced it has reached 700 million monthly active users. For reference, the company hit 600 million users just this past December, and has now added 100 million users in the span of less than five months. Instagram says that’s the fastest growth it’s ever seen. Since June 2016, the company has added an impressive 200 million users. Say what you will about Facebook’s Snapchat copying rampage, but for Instagram, at least, the strategy has helped what was already an immensely popular app keep on growing at a breakneck pace. Instagram Stories were first introduced in early August; since then, it appears Instagam has managed to tack on about as many users as Snapchat has in total (Snapchat’s IPO releaved it to have 161 million users by the end of 2016). Instagram is now quickly approaching Facebook’s other social media juggernauts: WhatsApp hit 1.2 billion users back in January, and Messenger reached that same milestone just a couple of weeks ago. Of course, Facebook itself still reigns king, at 1.86 billion users as of the new year.